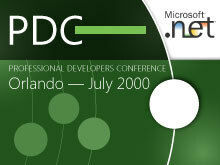 PDC 2000 took place on July 11–14, 2000 at the Orange County Convention Center in Orlando, Florida. 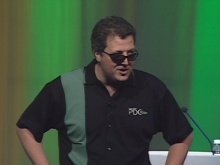 .NET Framework and Visual Studio.NET were announced, and the more than 6000+ attendees received the initial beta. 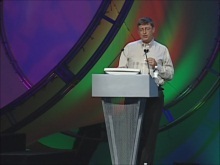 Additionally, the C# programming language was announced and demonstrated, ASP+, the successor to Active Server Pages, was also announced (later that year, the name was changed to ASP.NET), and Internet Explorer 5.5 was released.